I woke up early, around 3am, because I took the first flight at 7am to Edinburgh where I picked up my car and then made my way to my first meeting at around 10am. 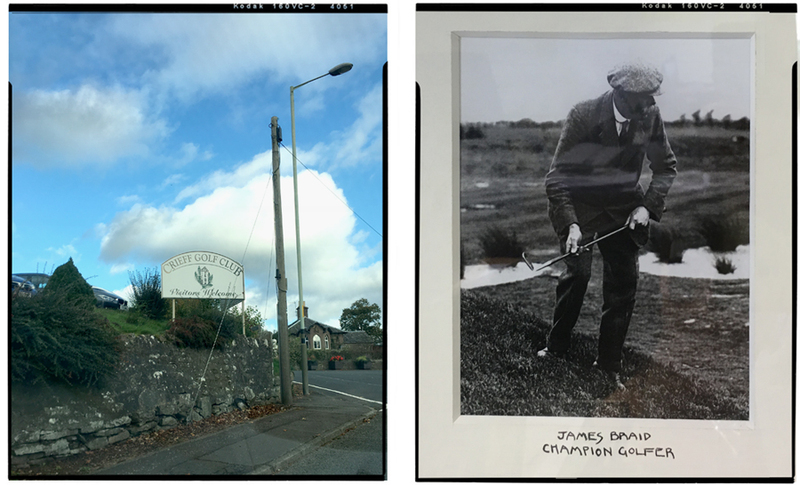 After all this I was more than keen to play a round of golf on my heaven on earth, named Scotland. 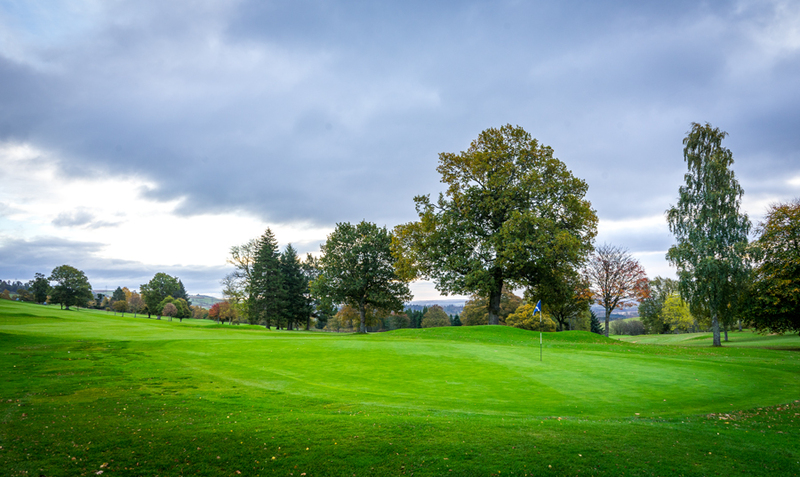 The first course on my #hiddengemroadtrip list through Scotland was Crieff Golf Club. 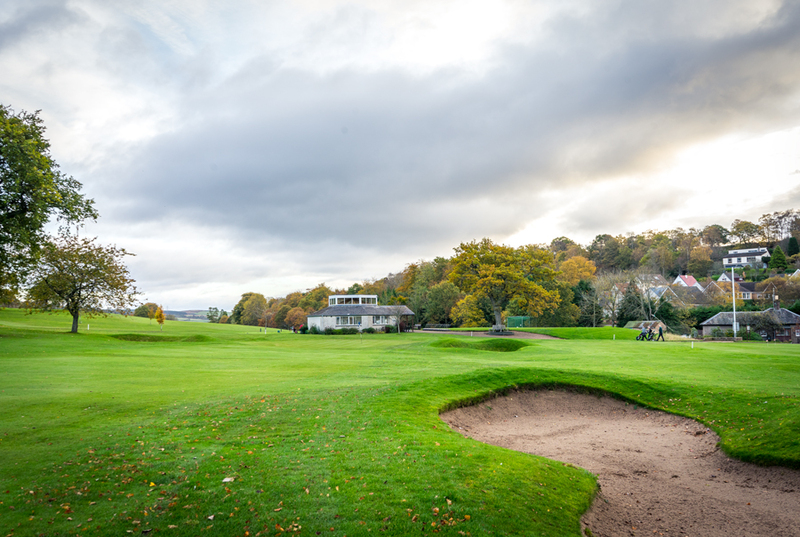 Crieff Golf Club is rated among Scotland´s top inland courses. 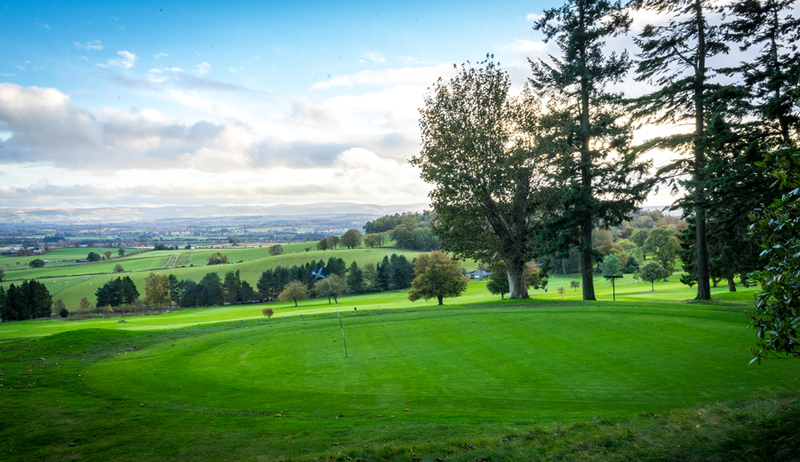 The course is situated in the heart of Perthshire, surrounded by the most beautiful countryside sprinkled with spectacular views. 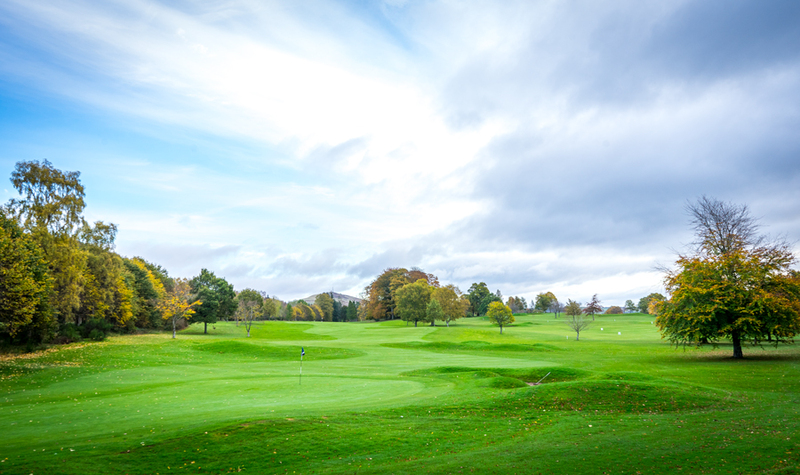 The course provides a fair but challenging experience for all levels of golfers. The whole team has been super friendly and gave me really the feeling of being very very welcome. After inhaling all the nice and overwhelming first impressions I walked over to the first tee. 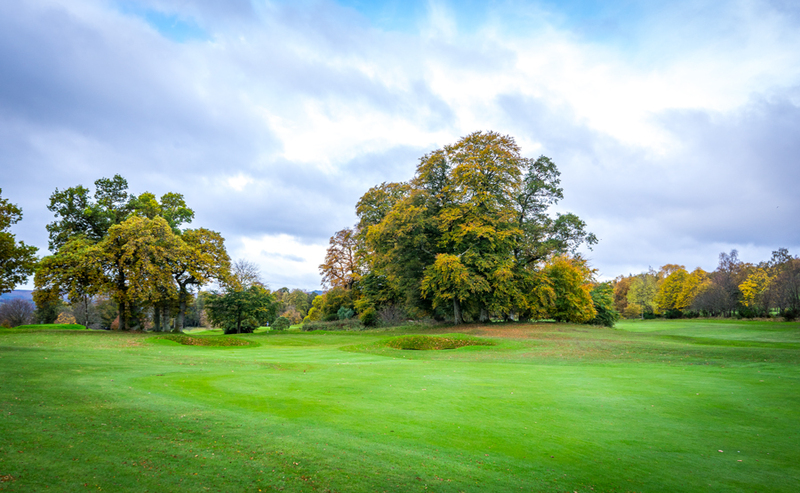 A par 3 next to the club house named „BEECH KNOWE“. David Murchie, the Club Professional joined me on my round. No. 3 called „WADE´S ROAD“ became the first real tester! 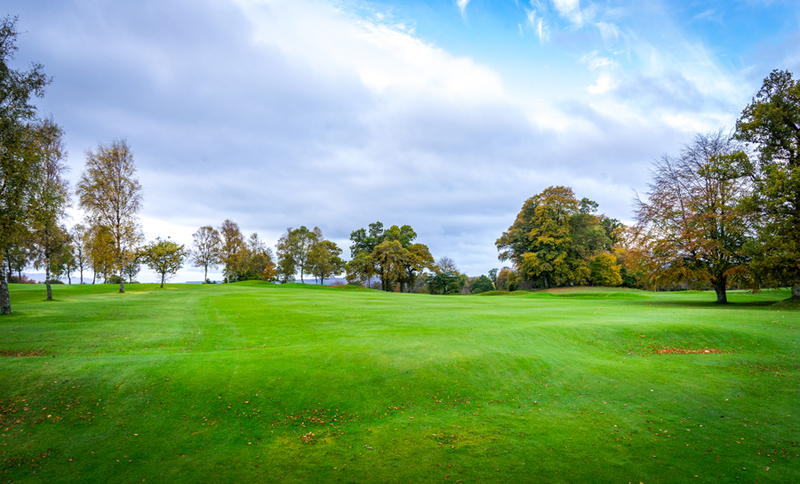 You need to hit a long and strong drive to attack the green. Well, I was short but still able to play par. Unfortunately my approach shot was way to short but I played a good chip shot and walked off the green with a bogey. 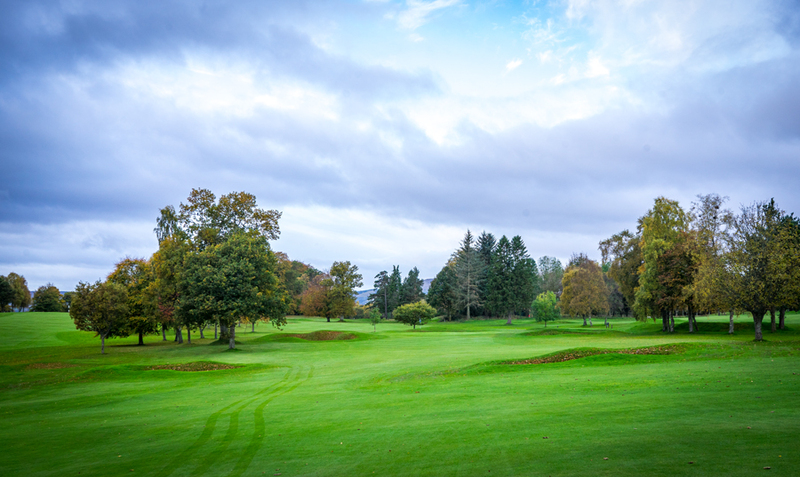 The course was in excellent playing conditions even that late in the season. 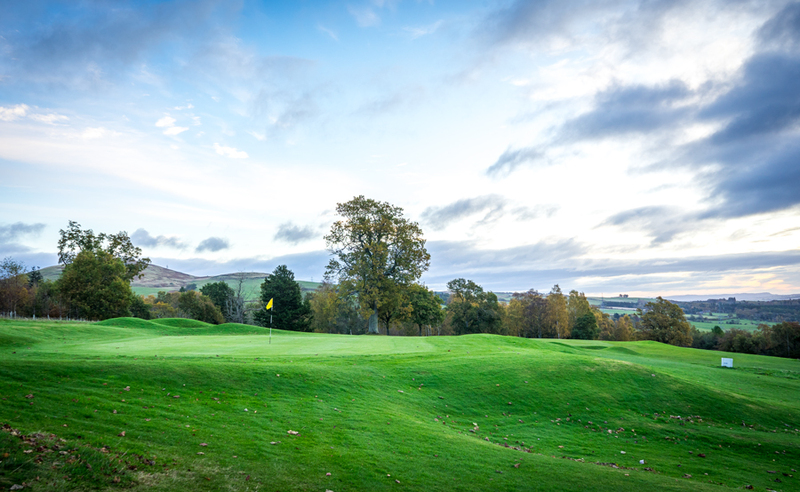 Fast and firm greens and fresh and juicy fairways. I was also very lucky with the Scottish weather. During my round the sun was shining and there was just a little breeze of wind. The next holes I need to talk about are No. 7 and No.8. No. 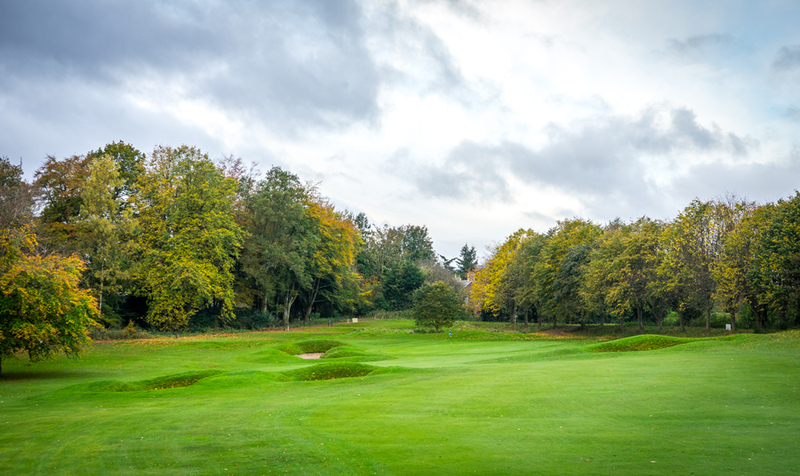 7 a beautiful long par 4, index 1 called „OLD FIFTEENTH“. A short drive causes real trouble here. Better you burn a candle to bring yourself in a good position. Then you also have to handle the narrow long green. I walked of with a 6 but I had such a good day on the course. Stunning because I woke up so early. Well, No. 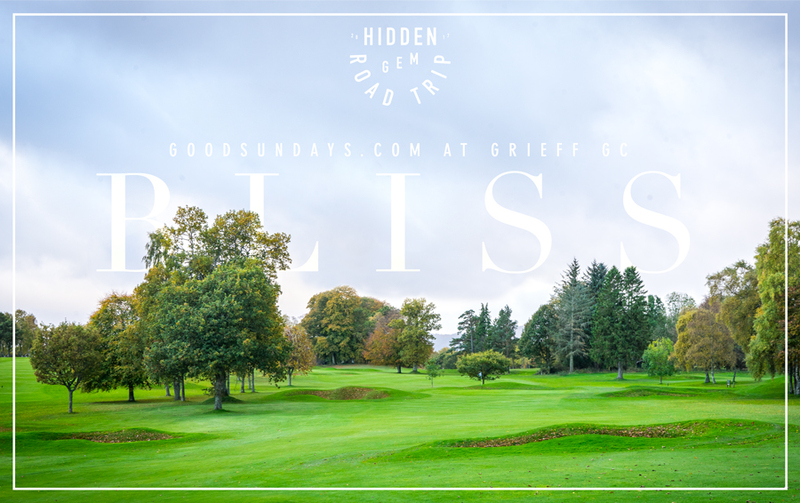 8 was actually my goodsundays.com signature hole. 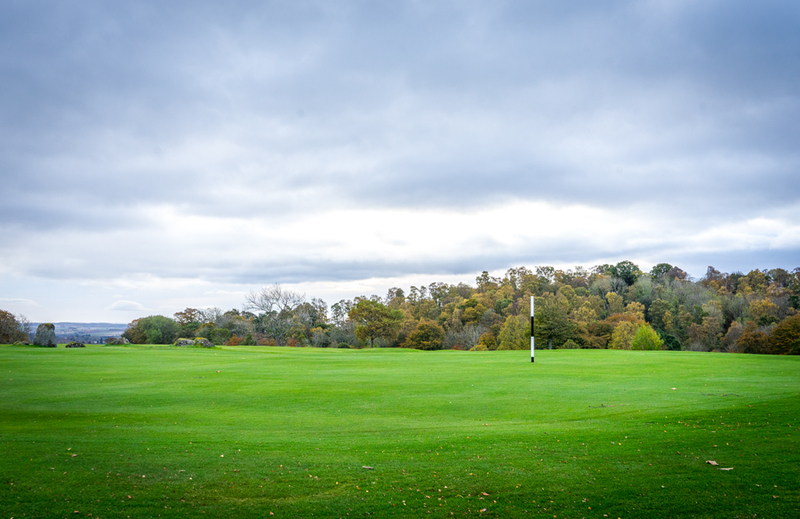 A short par 4 but don´t take „THE DRYTON“ to easy! The fairway and the green is well guarded by many bunkers. 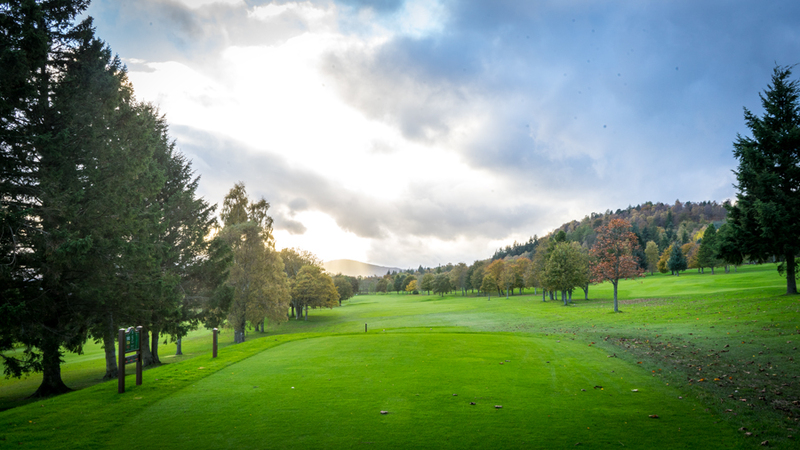 In summary I really understand why Crieff Golf Club is voted as one of the top UK golf courses by readers of the Golf World Magazine. 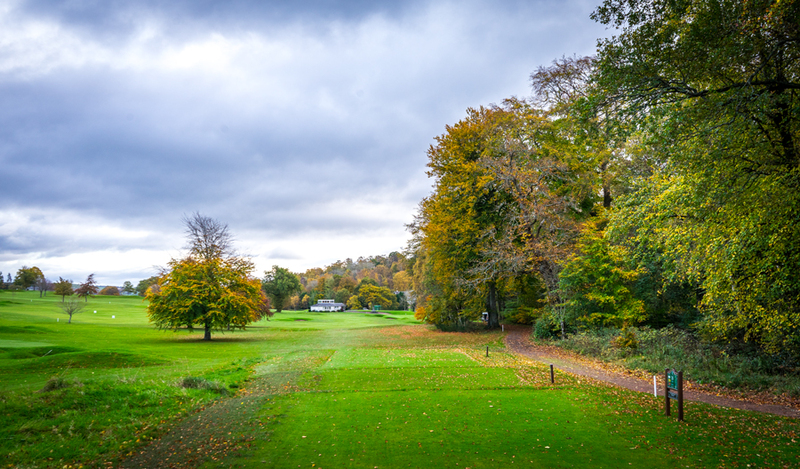 The second nine are picturesque and lovely like the front nine. 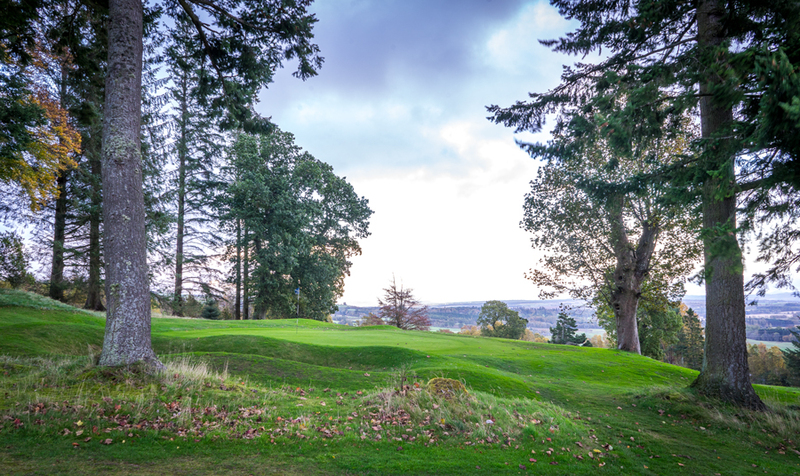 But my favorite collection of holes make up the final stretch of Crieff Golf Club. No.17 a short downhill par 3 named „THE HOG`S BACK“ I played par. 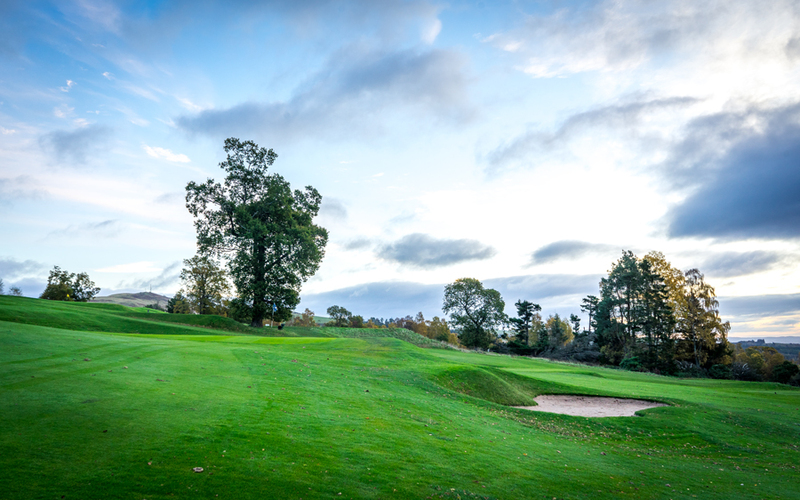 „McHARDY´S BUNKER“ or No.18, a short par 4 with just 303 yards from the white tees. You don’t need the driver here. 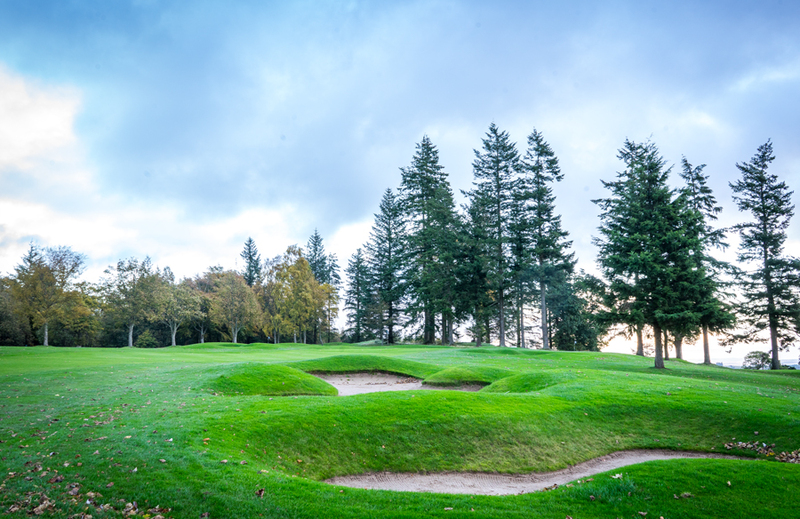 It´s even a little bit better in my opinion to leave it short to avoid the fairway bunkers. 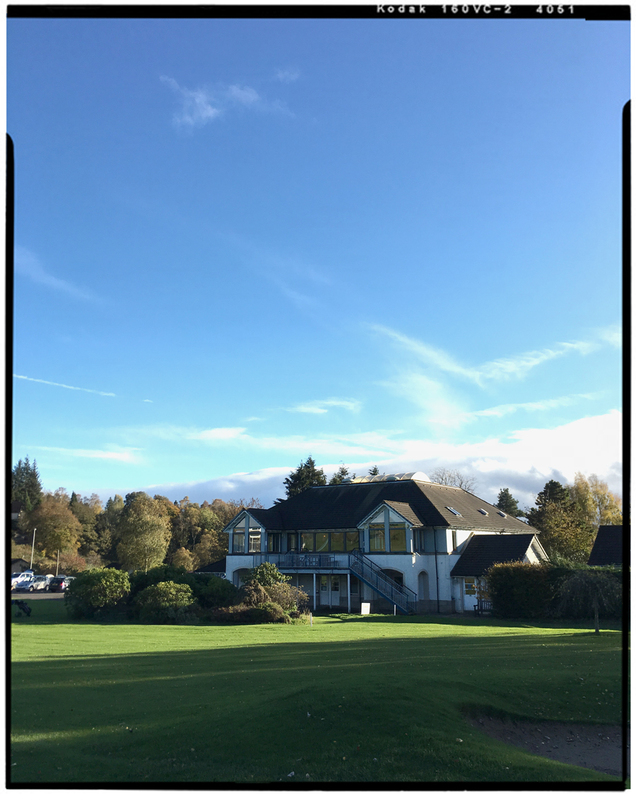 I split the fairway and hit the green and finally enjoyed my walk towards the newly renovated clubhouse where I was looking forward to a sandwich and a beer on the bar. 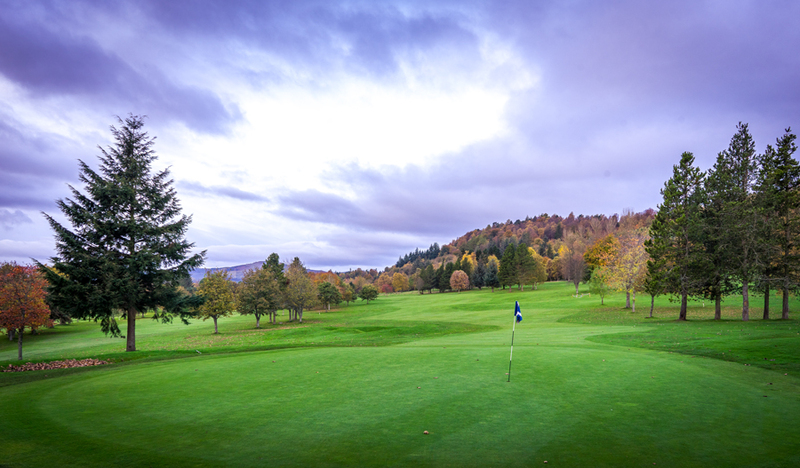 Crieff Golf Club is a very nice inland course which you shouldn´t miss when you´re around. Even or because of its great heritage. 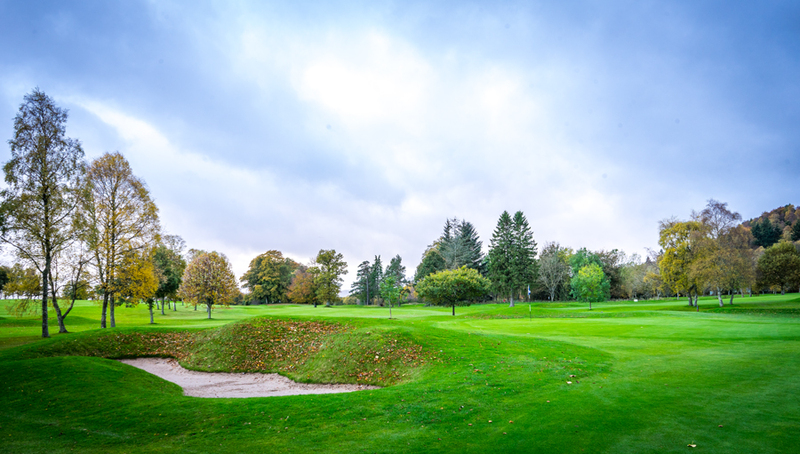 Crieff Golf Club is a product of the golfing boom, which opened half of the country’s present courses between 1880 and 1909, Crieff Golf Club was established in 1891 after St. Andrews’ Golf Professional, Old Tom Morris carved a nine-hole course out from what was East Ledbowie Park. So after dinner I headed over to Comrie Croft to fall asleep immediately after a very very long but amazing day on my #hiddengemroadtrip.